Diamond District – Is It the Right Place to Shop? The Diamond District… what is it?… where is it? When I hear the term “diamond district”, I always envision a very busy place…. a 3-ring circus of activity. There are always deliveries being made, a lot of people talking in the streets, maybe buying and selling done right there on the street, and people just constantly on the move. And of course, when I hear “the Diamond District”, I always envision the most famous diamond district of all… the one block section of West 47th Street between Fifth and Sixth Avenues, Manhattan’s “Diamond Jewelry Way”. 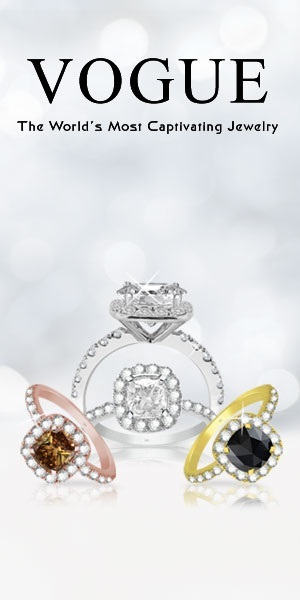 There are many different diamond districts, in many different cities and countries around the world…. but there is only one 47th Street! Before we go any further a definition is in order, a diamond district is a clustering of jewelry businesses that have the ultimate goal of producing gemstone jewelry. Each company will play different roles in this process. 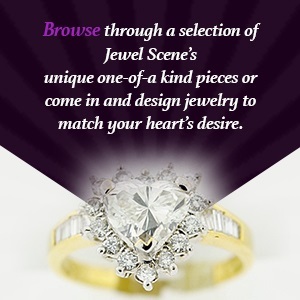 It is like a big diamond jewelry machine and each company is a different cog in that machine. The only thing that most people will ever see is the finished product… all the blingy, diamond rings, diamond earrings, diamond jewelry that comes out of that machine. When you walk down the street you will find big show windows packed with Diamonds, Rubys, Emeralds, Pearls, Gold, Platinum, Rings, Earrings, Necklaces….. you name, it can be found there! If it were not for these street level retail storefronts, you probably would never know that you were in a diamond district. The diamond cutters, diamond wholesalers, diamond jewelry manufacturers, etc. do not hang out any signs advertising their businesses. They do this because they want to be as “low key” as possible. You are not their customer, they sell to other wholesalers, dealers, etc. Security is always a prime concern when it comes to diamonds and jewelry. There are security cameras everywhere, along with uniformed and undercover police throughout the area, and to enter many of the buildings is just as difficult as going through security at the airport. There are people walking around on the street that might have tens or even hundreds of thousands of dollars in diamonds that are carried in special vests that are under their coats. Get more stories and insights of the diamond district at https://beyond4cs.com/2015/02/nyc-diamond-district-shoppers-trap/. The reason that West 47th Street is the best-known diamond district is because of its size and location. New York City has long been an important hub in the distribution of gemstones and jewelry on a wholesale level but also because Manhattan is within commuter distance of many other states it has given 47th Street a special advantage. For many years, some people who lived within a few hours travel to Manhattan’s diamond district would come to shop there because it was like shopping on the Internet (and this was even before Al Gore invented the Internet)! Huh?, How is New York’s diamond district like the Internet? OK… let me explain. Two of the biggest advantages of buying on the Internet have been the vast selection of goods at lower prices and many times the savings of not having to pay sales tax on the items that you purchase from a merchant who does not have a “tax presence” in your state. People shop on 47th St. and then because they have their merchandise sent to their homes in New Jersey, Connecticut, Boston, Philadelphia, Washington, DC, etc. they do not have to pay NY sales tax. 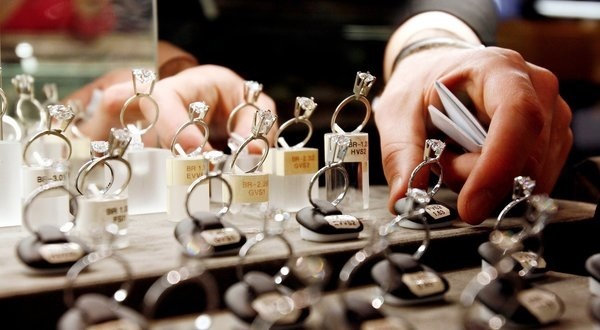 This normally works out OK but it has presented problems over the years because there have been cases where a customer has walked out of the store with the jewelry but they never paid any NY state sales tax. The merchants have performed this “special service” for them by mailing an empty box to their home in another state in order to avoid paying NY sales tax. This does get into the serious problem of US federal mail fraud (because the merchant mailed an empty box that was insured for a very high dollar amount) not to mention having NY state being interested in collecting their tax bite, this is a problem that you should avoid. A common term that you will see everywhere will be “wholesale to the public”. Among the places where you will be able to buy diamonds and jewelry, will run the from very nice “high-end” retail jewelers to tiny little booths packed into “diamond exchanges”. Because there are many of these small booth owners who are competing for your business, don’t be surprised to see aggressive salespeople trying to drag you into their store to show you the “great deals” on their diamonds. The diamond district can be pretty intimidating! In general, if you go shopping in the diamond district it will not be like shopping at the local mall. This is shopping with an edge! There are many shops selling the same type of products and the salespeople will aggressively sell their products so you will need to be prepared if you would like to give it a try. You will need to do a lot of comparison shopping and most likely do some haggling in order to find the best prices. You might be more comfortable to shop with a friend, especially if your friend loves this type of shopping. But can I get a great deal? I don’t know… maybe, maybe not! Just because you are shopping in “the diamond district” or the sign outside says “wholesale to the public”, it doesn’t guarantee anything. Maybe many years ago when the margins on diamonds were much higher, you might have gotten a really good deal. Today, it could be more difficult… the rent on some of these retail spaces has gotten sky high while at the same time the margins on diamonds have gotten thinner and thinner.